The coupon field is highlighted above. To apply the coupon to your order, you must type the coupon code into this field and then click the "Apply Coupon" button next to the coupon code field. You can now proceed to checkout with your discounted price. 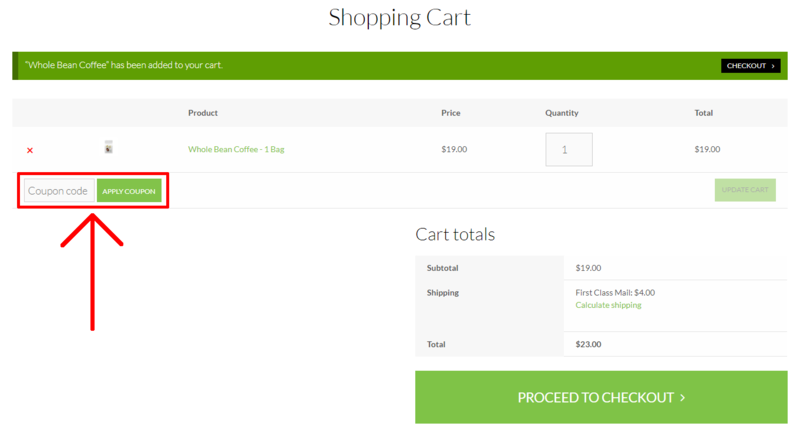 Note that if the coupon has been correctly applied, the total should be updated in the cart view before proceeding to checkout. 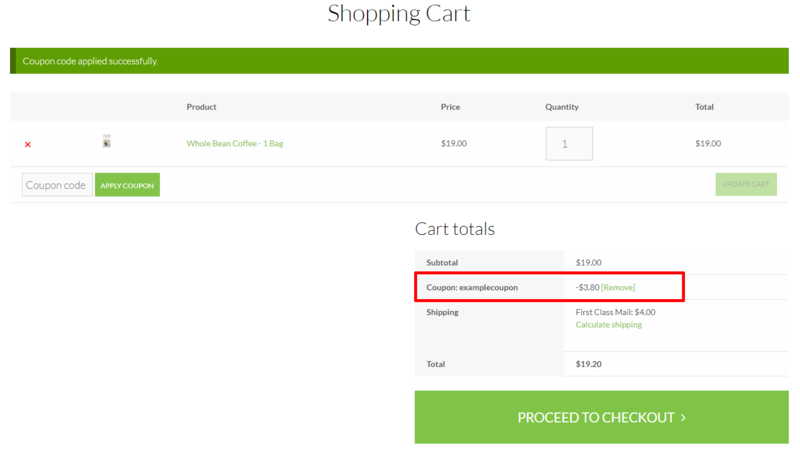 And just as before, after typing the name of your coupon code into the field next to the "Apply Coupon" button, and then clicking the button, your coupon and new total will be shown in the order information table.